Sorry if this one is a little rough -- busy day in the neighborhood made for a lot of interruptions & cuts. Special thanks to my wife for building this huge modular building set for all of us to check out! 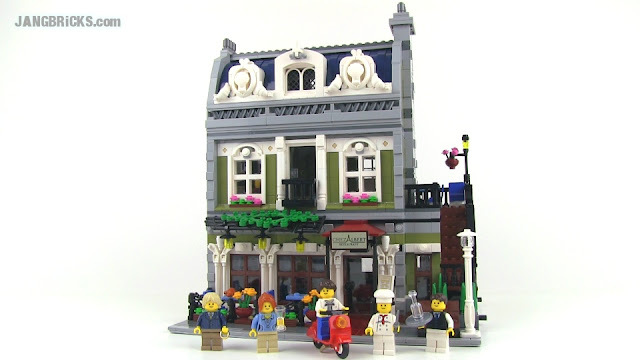 Video: LEGO Creator Parisian Restaurant 10243 modular building Review! I really apreciated if you tell me how much is the cost of Curiosity Rover toy? and another is when you will have the toy in stores? and when will arrive to Mexico, (cancun, Quintana roo).. so If you will tell me I send you my e mail: corsarioballet@yahoo.com.mx, thank you. rgs Mr .ulises pacheco sanchez.